School just started and life is crazy again. I already miss the long summer days and summer isn’t even officially over yet. Back to going through book bags, flash cards, and spelling tests. It also means remembering to make lunch the night before. 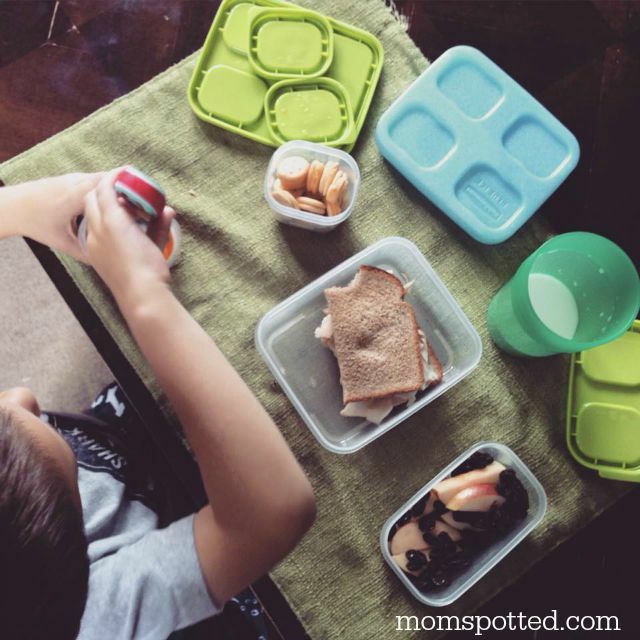 This year we’re trying out the Rubbermaid LunchBlox Kit and so far we’re already loving it! Let me tell you why! 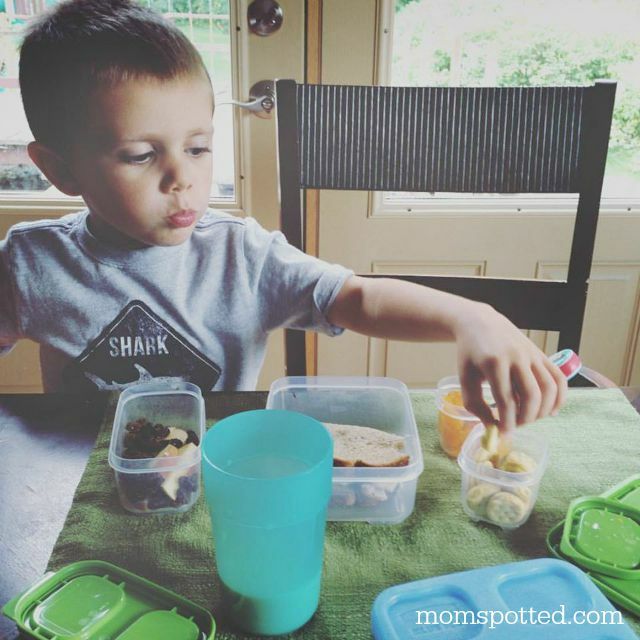 I always wonder if I’m over or under feeding my boys whenever they don’t eat at home. Don’t ask me why I suddenly feel like I need to pack the entire pantry into their bag, but I do. I love how these food storage containers pack together to make a complete meal, all you have to do is add the drink. They are also crazy easy to find. The lids are bright green and still stand out in the back of my dark cabinet where the kids toss them. 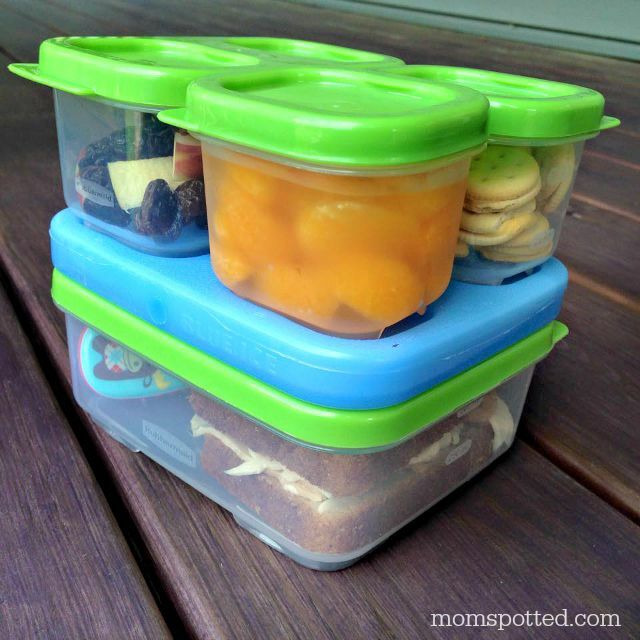 Plus, because the Rubbermaid LunchBlox Kit can configure into different shapes you can fit it in pretty much any lunch box that they pull out that day. The best part is that they are 100% BPA free and they can go in the microwave, dishwasher and are freezer safe! It even comes with a snap-in Blue Ice® tray! I also love how the pieces all fit together. The kits literally snaps tight enough where you can hold one piece and they others will stay in play and not fall or leak. This is key because I know it will survive the bus. It never fails something gets crushed on the bus and lunch gets ruined over it. Not only do these protect your meal but they even help keep it fresh! HOW DO YOU PACK YOUR LUNCH? I love these containers! What a great way to be able to send a variety of foods for the kid lunches, I always felt like I was over packing too. What a great set, I love the different types and how they fit. My tupperware cabinet is a mess right now full of mismatched lids, cracked or discolored tupperware that needs to be thrown out. My kids all eat hot lunches at school but I would like some of these for when we go to the parks. Nice to pack up and keep food fresh. I love how versatile these are. Plus, they are BPA free which is so important to me! That’s perfect for little fingers! I need to get some new storage, I’ll have to look into this. Some of my lids are broken. Even if I hand wash them, the lids are the first thing to wear out on me. These lids look sturdy. We’ve had out original lunch blox system for almost 2 years now and they are still holding up great. I love how easy it is to portion with them! 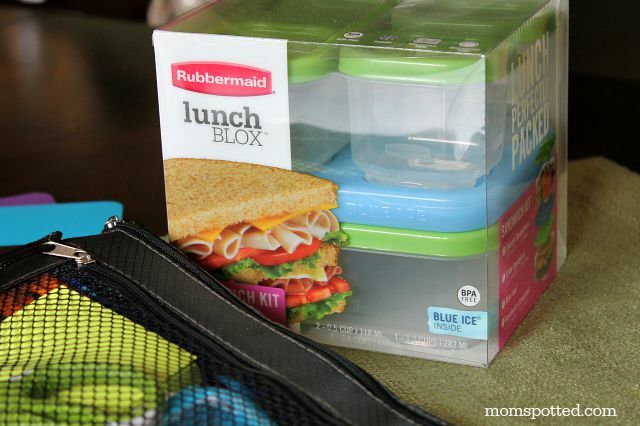 We love these Rubbermaid Lunchblox! They are fantastic for dividing up lunch or snacks, you can use all or just a couple of them and I really love the built in ice pack. These would be great for keeping lunch seperate. Nothing is worse than a soggy sandwich. These would be so handy for our lunches! I love all of these containers. Looks like a nice way to keep a lunch fresh! What a clever idea! I would even use these for my husband’s lunches!